So how much do you know about the company Pyrex and its iconic glassware? We’re guessing not all that much, apart from that it’s highly useful and you’ve probably got a dish or jug or two in your kitchen. Well, it’s actually a company that is now over 100 years old, since it was born in 1915. That was when they first started manufacturing their signature clear, low-thermal-expansion borosilicate glass. It was intended to be used for laboratory glassware and kitchenware and unlike a lot of things that were invented many years ago, it’s actually still used for its intended purpose. 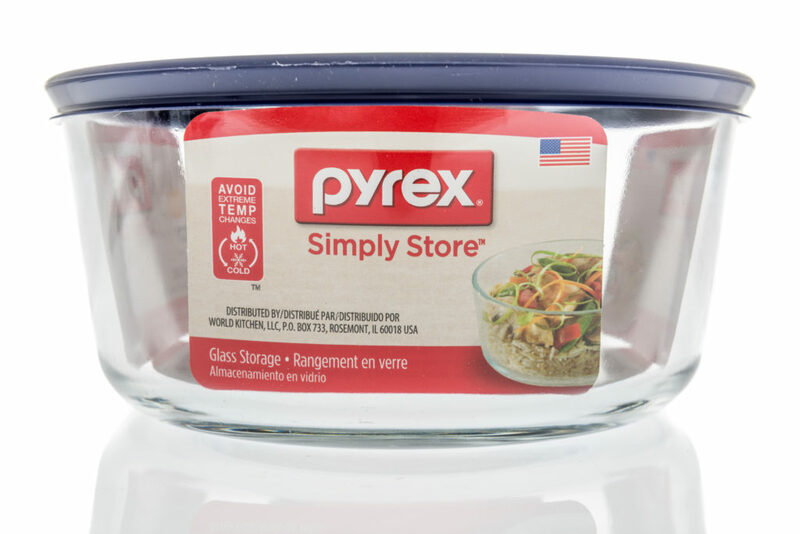 Although the actual material was invented in 1908, Pyrex rolled their products out in 1915 (during World War I) as an American-produced alternative to Duran (the other popular brand at the time). Despite people speculating that the name, Pyrex, may have derived from Latin or Greek, it was actually revealed that company execs at Corning Glass Works (the parent company) had always wanted the trade mark to end in ‘ex’. Since one of the first products to be sold under the new company was a pie plate, they inserted the letter R between pie and ex, to make the recognisable Pyrex name. Although the transparent dishes were popular, Pyrex started to release lines of opaque products too in the 1930s and then when the microwave was invented and became popular through the 40’s, 50’s and 60’s, Pyrex’s popularity grew thanks to its microwave-safe material. 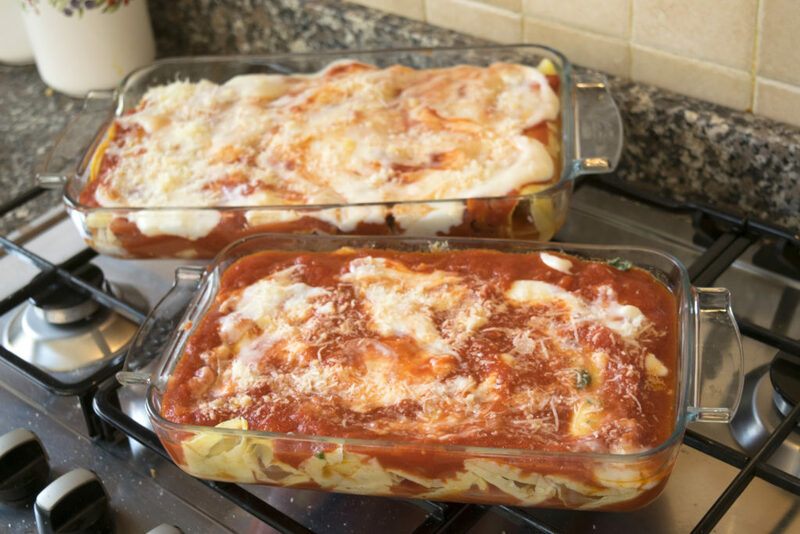 Recognising the need to save time in the kitchen (especially since women were becoming more and more career focused and less about spending their lives cooking and cleaning), Pyrex released a multi-purpose dish in the 1980’s for freezing, reheating, storing and cooking. And it’s still an essential today! You’ll struggle to find a kitchen that doesn’t own at least one item by the popular brand and they’re ever popular with students and those moving out for the first time, since there’s very little anyone can do to ruin it (whereas if you try putting a non-microwaveable dish in the microwave then things won’t end so well). So how do you like the sound of winning one for free? Since it’s baking week, it’s the perfect time to enrich your kitchen with new bakeware and make a nice crumble or tray of cupcakes. 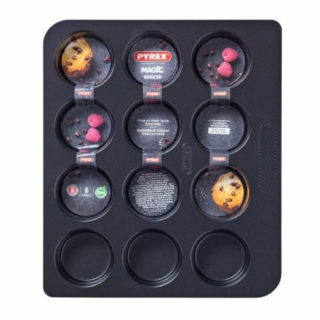 Enter below for your chance to win this muffin tin!